This charcoal sketch of Ruggero Bacci was created by a fellow internee. Unfortunately the signature and date are missing. Other similar examples have this information, leading one to assume that this information has been removed from the original sketch or removed from the digital reproduction available to this collection. A digital copy of this image appears in the collection of the Archives of Ontario, and does retain a line on the bottom right corner: "Petawawa 11 VII 1941". As a result, it would appear to have been created by Guido Casini. Guido Casini was an artist. He was known in the Italian Canadian community of Montreal for having worked on the sculpture of Giovanni Caboto (John Cabot) and assisted with the fresco featuring Benito Mussolini in the Madonna della Difesa church. 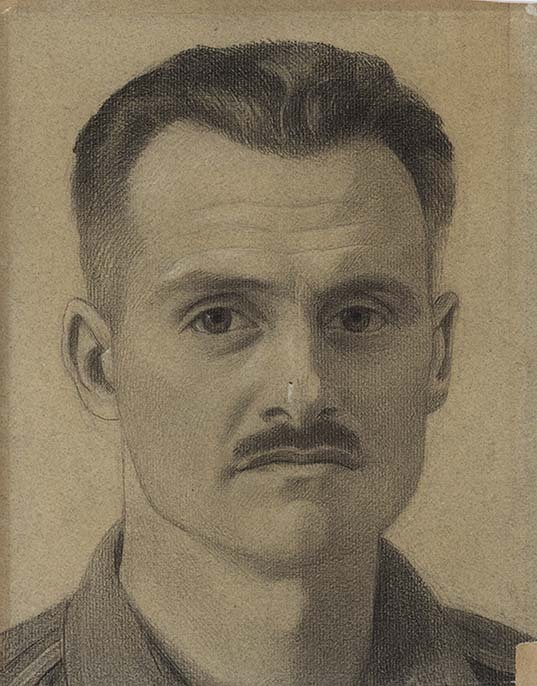 In Petawawa Internment Camp, he created many sketches of fellow internees.